No matter how informed we think we are musically or misinformed about a certain band or genre, MB is usually there to set the record straight or convert you to a band or genre. So what has MB done for you? Even though I am in my late 30's I am always open to new music but I just couldn't get into The Fall. All I could hear was a drunken old git mumbling into a microphone about nothing in particular seemingly getting by with this average crap. Due to Urban crapping their albums out all over the damn forum I began to delve into them a little more and began to get into them a little more whilst still not being fully convinced about a band that changes it's personnel every other week. I mean how could this band achieve this sort of longevity by changing it's band members so often? The answer is that irascible Mark E Smith and once I figured out that he wasn't a guy paying lots of money to have a backing band so he could rant against everything and instead is a man that doesn't know what else to do in life, my views began to change. After all if you look closely at other artists you can see similar patterns. Lemmy and Motorhead, Ozzy and his backing band, Tony Iommi and Sabbath- they all continue with their band names despite numerous line up changes and I like them so why not The Fall? Over the past year I have even begun to buy physical copies of their albums and of course; now and again there are tracks that I don't like but the more I listen to The Fall the more I realise that the ideal of the band and what it means is what draws me to them. So even though I try not to behave like a blind sheep when it comes to music, I do confess that because of MB I have high regard for this band. So it's your turn people! 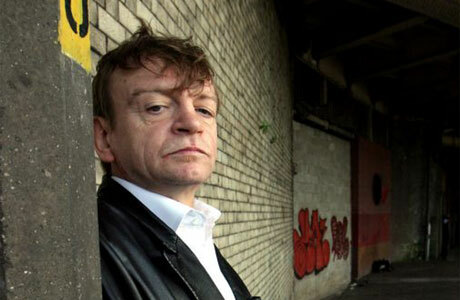 Mark E Smith IS the Fall. The band may change, but The Fall never will. I don't know The Fall, but I know The Fall all too well! I know that there are only a handful of bands in the music world that have the sinister ability to be all consuming. I fear The Fall. I avoid The Fall. That man is God AND the Devil! Say goodbye to the rest of your music collection Lee. I'm not sure, it may have taught me there's more to music than Oasis, Arctic Monkeys, Libertines, Queen, AC/DC and a load of other dull predictable bands I listened to at the time I joined. Or maybe I just grew up and found better music. I think it's a bit of both, though it's no coincidence that in the year and a half I've been here my music taste has expanded and changed quite a bit. I will still have the same amount of quality/crap in my collection come what may but The Fall are certainly one of those bands that should go down in history for just being exactly what music should be- uncluttered and performed by people with far too much to say and not enough time to say it. I wouldn't like to meet him though. I am sure he could piss me off within five minutes of meeting him. I wouldn't worry too much. I actually think that you're one of those people who could well be immune to The Fall, judging by your all encompassing attitude towards music. What has MusicBanter taught me? I came here 5 years or so ago believing I had a narrow and elitist attitude towards music which took me all of 4 years to confirm. It taught me to despise elitist pricks that pretend to like certain types of music so as to appear superior. Giving true elitists the unfair misconception of appearing arrogant. They give elitism a bad name for those who really do have a superior taste in music, like me. Nothing but a few songs on limewire so far. I'm new, and I do expect big things though. Limewire will destroy your computer.